Consumed: 1 Café Latte, 1 pastry with chocolate in the middle, 1 coconut gelato, 1 orange crème gelato, 1 glass of champagne, 1 pizza with buffalo mozzarella, - I think I am eating less in Italy. 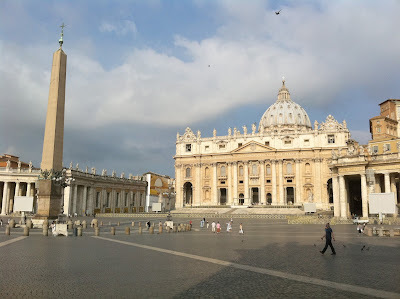 The Vatican was beautiful… a strange quiet power. 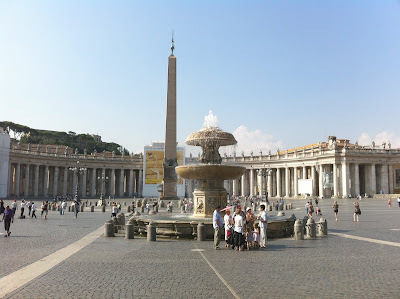 I think the most interesting part about seeing the Vatican was seeing all of the young nuns and priests. I can’t even imagine devoting yourself to something so early in life- its admirable but I had no clue about life when I was 20. In the Vatican Museum there are the old sections and the modern sections. It made me wonder how they rotated the collection and what’s exactly in the vault. 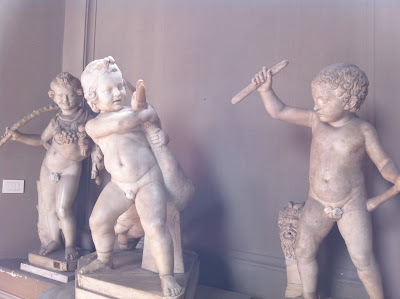 The best thing about the museum was that at one point the Vatican decided to cover up the naked statues privates with little leaves.